Money Boxes are a gift associated with christenings and 1st birthdays, but they needn't be. It's so important to encourage the younger generation to look after their money and to learn the value of saving. 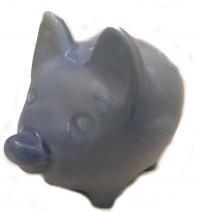 Below you will find a selection of 'Piggie Banks' that would be more than happy to be fed on coins and paper money. 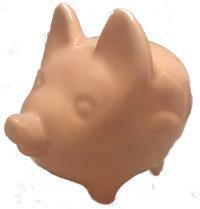 Emptying and refilling your money box also helps with learning to count and adding together.